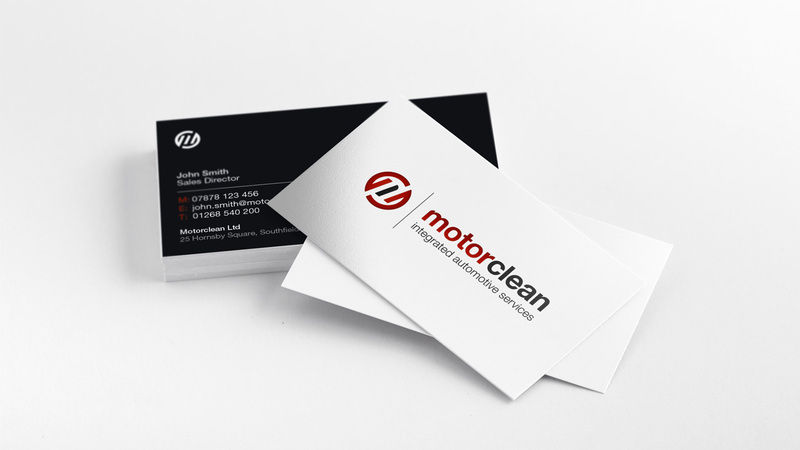 The brief from Motorclean was clear – refresh the existing brand identity and bring brand collateral in line with the forward-thinking innovation that underpins their work. 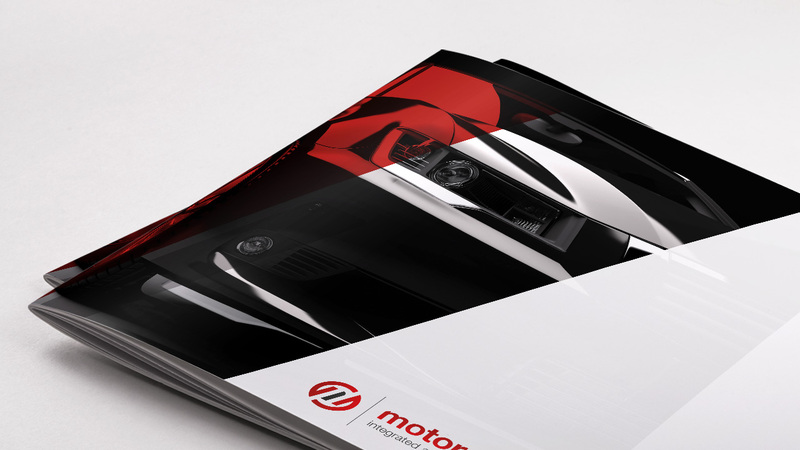 Our team of creative designers started from scratch to create a dynamic logo that revitalised the feel of the brand whilst maintaining the bold colours that were already synonymous with Motorclean. Having established a new logo, the brand collateral followed suit and both the brochure, website and business cards were developed to mimic the dynamism of the angled brand-mark to create an edgy, cohesive feel to all aspects of the brand. But we weren’t finished there! 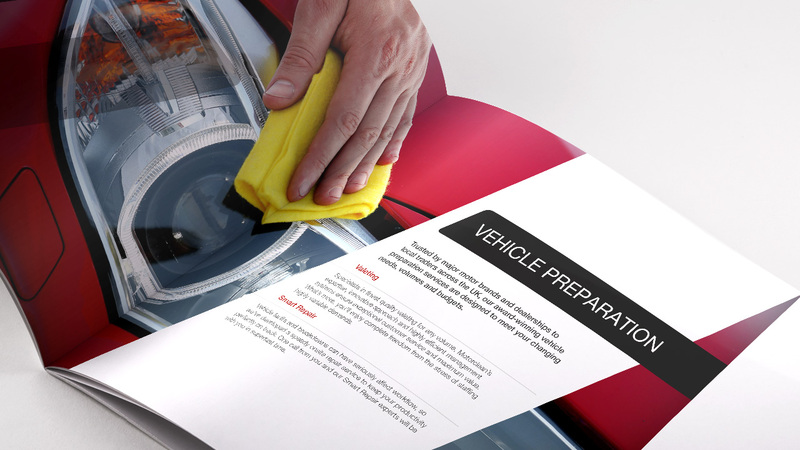 In order to fully showcase the services Motorclean offer, some glossy photography was the answer; and after carrying out our extensive photoshoot, we had a catalogue of imagery perfect for adding the finishing touch to the brochure and website. 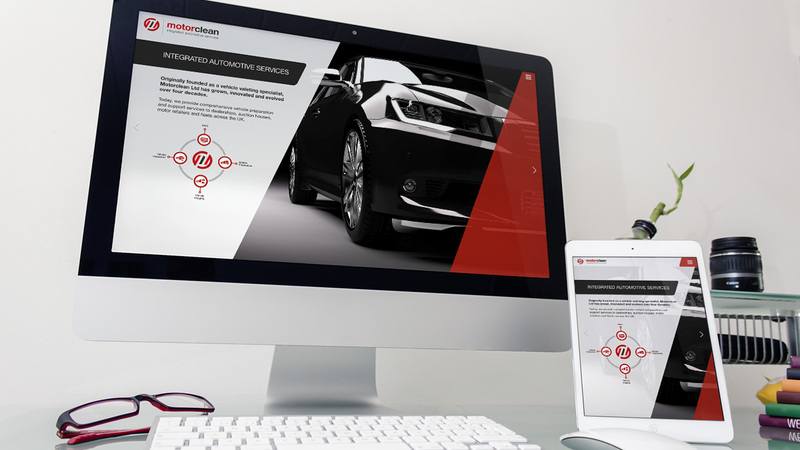 Our custom-made website certainly matches the strong vibe of the newly refreshed brand identity. Utilising our own photography and angular graphical elements, we have cohesively tied the collateral together to create a bold and consistent identity that strikingly portrays the innovative brand, fulfilling the initial creative brief perfectly. If you are looking for a new identity for your brand, or simply looking to refresh your branded collateral, we can advise on the best route to take that suits you.